Last week, I bought a hamster for my nephew birthday. Honestly, I always thought that I would adopt a pet like a dog or a cat, but had not a thought about having a hamster because I could not imagine how I could feed or take care of tiny animals. However, when we went to PetSmart, I was so impressed. The store offers everything for anyone who wants to have a hamster. If you want to get that little rat, you have to purchase a cage with bedding floors, food, and many kinds of toys for it to play with. I also never thought about the difficulty in choosing a hamster because there are a bunch of species such as Syrian hamsters, Dwarf hamsters, Campbell’s Dwarfs, and Winter White hamsters. Each kind has each unique color, shape, and character. Picking one of them took us nearly one hour,not counting choosing its cage and toy. Honestly, I could not take my eyes away from the hamster we bought that night. The way it (I am not sure whether it is female or male) played with its toy was so cute and funny. It spent all night discovering its new home, then did exercise with its running wheel. Actually, it is really hard to sleep with those loud noises it made, if you want bring it in your room. Therefore, if you have any intention to buy one, you should think about that before making a decision. 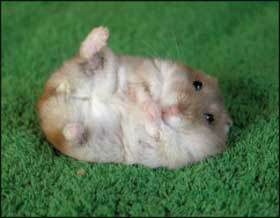 The funniest thing about hamsters is that most of them are really active at night, but kind of lazy in the day. Thence, I could not find it anywhere in the cage the next morning because it was sleeping deeply under its warm bedding floor. Therefore, if you are considering adopting a pet but still worry about the messes they might create in your house, hamsters could be your best option. They are small and it so easy to clean their cage whenever it gets dirty.